All aspects of our curriculum and approach to learning are designed to develop self-esteem and self-control, enabling children to take their place in society as happy, confident individuals. We place a high emphasis on personal and social skills, praising good behaviour and encouraging the children to have a ‘caring and sharing’ attitude to others. We follow the Early Years Foundation Stage curriculum, balancing teacher led structured activities and free choice activities based on the children’s interests. Providing high quality planned experiences for children’s play is an important way for adults to support children’s learning that is both enjoyable and challenging. When children play, they are learning at the highest level. Play can extend certain areas of their learning – for example, developing language skills by promoting talk between children or introducing new vocabulary that they use and act out in their play. 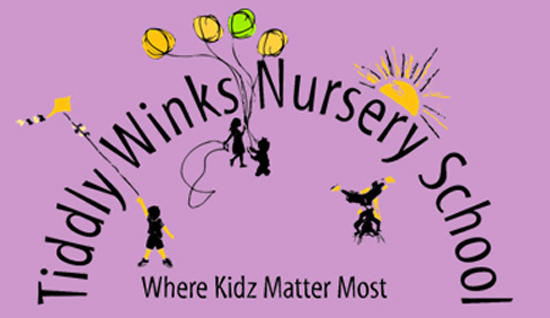 Tiddlywinks nursery school is committed to work in partnership with parents/carers, providing flexible, affordable and professional care for all children and their families resulting in the best possible outcomes. Dedicated to maintaining happiness, in the safest and loving environment. We endeavor to deliver the highest quality of nursery care and education through play and stimulation, where children are valued and respected for their own ideas. “The best way to prepare children for school is to allow them to be two when they’re two, three when they’re three and four when they’re four” (Professor Cathy Nutbrown).